I have been fishing in some part of the world my entire life. Starting out as a kid fishing farm ponds for Bass and pan fish in Kentucky to guiding in Alaska over 40 years later, I have been involved in many aspects of sports fishing. 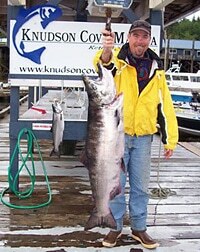 Over 30 years ago I came to Alaska to try its legendary fishing and I have been hooked ever since. 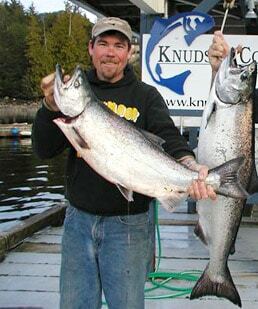 In the following the years I have guided for Salmon and Halibut around Glacier Bay Alaska, on rivers and salt water in Western Alaska and in Washington and Oregon for Salmon, trout and Steelhead. 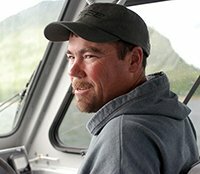 I first started chartering in Ketchikan in 2003, and fell in love with the community and its easy access to world class Salmon, Halibut and bottom fishing. I am a licensed Coast Guard merchant marine officer and have current Red Cross first aid and CPR training. I love guiding; one of my biggest thrills is to see newcomers catch their first fish in Alaska -or maybe their first fish ever!